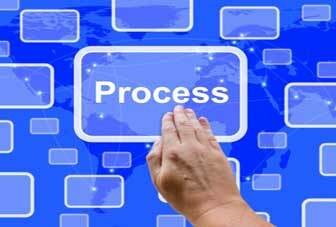 What Is Business Process Management? | Business Article | MBA Skool-Study.Learn.Share. Business Process Management as the name suggests helps you manage your business processes by automating different systems and / or processes in the organization and thus reducing human intervention. With the advancement in technology every institution/ organization wishes to automate its processes so as to increase the productivity and spend less time on activities that can be taken care of with the help of technology. Such automation can be achieved with the help of business tools like Interstage Business Process Management (IBPM), Lombardi Software, ARIS, etc. 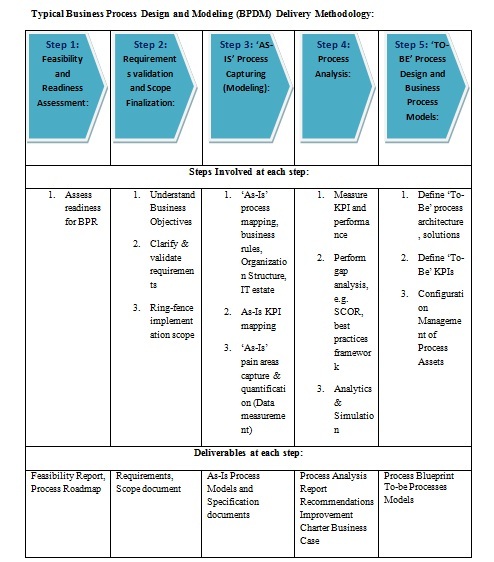 These business tools help you design your process framework using the standard popularly known as Business Process Modeling Notation (BPMN). BPMN defines the way a process looks. A Process is the driving force of any business and at the heart of a successful business are a set of streamlined, time-proven, rigorously tested and reliable processes. Process can be defined as a sequence of activities which are taken up by pre-determined roles of people that use various resources optimally to produce the output. The functioning of a company or an organization, both internally and externally rely on the processes implemented and followed. - Processes can range from being rigid to flexible. - They can be inter-dependent and correlated. - They can consist of many more sub-processes all of which need to be completed in order to drive the parent process. In short, processes are the veins of an organization. If the process in the system is manual, each individual may have to manually check for any task on their way, the progress of a particular task as well as keep a track so as to ensure that the deadline is not nearby. The BPM tool helps design processes which will ease the head ache of the administrator and individual users by providing timely notifications to the person in charge for any stage within the process. Form Details: Detailed entry of a user / stage in the process can be obtained with the help of forms in the designed process. Notifications: A user may receive notifications in case a new task is assigned to him / her. Timely reminders will be sent across. The user will also be notified in the case of deadlines. All these notifications will be sent with the help of Email Servers. Administration: With the help of the automated process it is easier for the administrator to check the status of each task / process within the organization and act in case of emergencies. With the help of BPM tools the entire process is designed and made ready to use by the application repeatedly without investing time and money. - It allows the organization to utilize its resources (human resource) in other creative fields which in turn benefit the organization. - It is easier for the organization to track the status of any process and also find the cause of failures, if any with the help of such designed processes. This helps the administration to monitor more efficiently. Thus use of an automated process can help an organization grow. The biggest single drawback of implementing a process in a workflow system is that the process is fixed. If the needs of the organization change, then you are faced with a cost to modify the workflow implementation to match the new requirements. These changes can lead to a change in the Database Server, Application Server settings etc. which may increase the company’s expenses. The business focus has been revamping processes to suit the changing business environment, to meet the demands of the existing global markets, to be efficient and cost-effective. Thus, Business Process Re-engineering (BPR) wherein one analyzed current processes and changed them for optimal outputs from the business, became a mantra. As business requirements changed the processes underwent either drastic or minor changes. With that grew the need for concentrated efforts to re-engineer processes and this task had to be undertaken by a dedicated team of analysts, designers and implementers all of whom worked in co-ordination. BPR at a fundamental level means change. While designing a process the BPR team has to ensure that the process is not very rigid and may intake changes at a later stage. Hence, it can be concluded that Business Process Management serves as a platform for analysis of business processes in future to aid executive decision making through various reports, automating/accelerating the manual processes, bridging the gap between business and IT, implementing industry’s best practices resulting in business process improvements, improving control over processes and obtaining faster response to necessary process changes. From a holistic point of view, BPM implementation for any business is a device for steady and incremental growth in all aspects. This article has been authored by Arpita Samanta & Davinder Sahni from Welingker Institute, Mumbai.